Billionaires—the crème de la crème of a society in which money is the principal gauge of success. 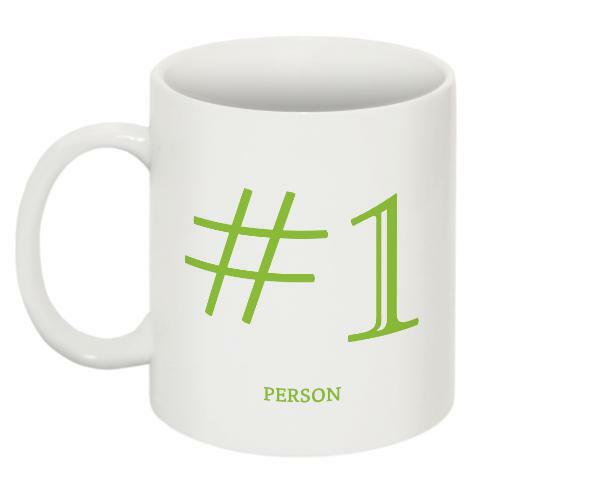 #1 presents 130 of the world’s 1,810 billionaires in the congratulatory style of #1 Dad mugs found in cheap gift shops. The work is the product of obsessive online surfing and the desire to order and rearrange the seemingly endless amount of information available online. 2016 was another record year for wealth; however, this was the aggregate net worth of the world’s richest people—the billionaires—not the public. This is undoubtedly the future of capitalism as, according to French economist Thomas Piketty, there’s a simple equation to explain the rise in wealth inequity: r > g. The rate of return for owned capital (r) exceeds the overall rate of economic growth (g). Thus, those who control wealth will accumulate it at a faster rate than the economy can produce it. The plutocratic rich, who influence the economy and society, will get proportionally richer, while the poor will get proportionally poorer. #1 attempts to flip the celebratory logic of wealth on its head and give a middle finger to neoliberalism—an economic system that values greed, self-interest, and extreme personal wealth. 15 of the 130 sampled billionaires, or 11%, are current or former Presidents, Prime Ministers, Governors, Members of Parliament, Ministers, Senators, and Mayors—and this doesn’t include their lobbying activities. Thus, it is no surprise that politicians, on both sides of the political spectrum, are thoroughly committed to the capitalist status quo. They don’t represent the people who elected them; rather, they bow to the bidding of the big banks, the financial institutions, and the multinational corporations that the extremely privileged few control. The reality of the situation, and the fact that those with money rule, was made evident in a Perspectives on Politics article by Professor Martin Gilens from Princeton University and Professor Benjamin Page from Northwest University. They analysed 1,779 policy outcomes over a 20-year period to answer a simple question: does the government represent the people? They concluded, “economic elites and organized groups representing business interests have substantial independent impacts on U.S. government policy, while mass-based interest groups and average citizens have little or no independent influence”. Strictly speaking, politicians literally don’t care what their constituents think or want; instead, they listen to the rich and powerful, who don’t want to pay their fair share of tax, yet demand billions in subsidies and support from taxpayers. In the age of austerity, it’s socialism for the rich, and sink-or-swim capitalism for the rest of humanity. 35. Herbert Vollrath Kohler Jr.
48. Jerral Wayne “Jerry” Jones Sr.
54. Kenneth Gerard Langone Sr.
68. Manuel “Manny” Bamba Villar Jr.